We manufacture and export Pouch Sealing Machine all around the world. Our Pouch Sealing Machine effectively seals pouches made up of any sealable material. This ensures maximum protection of the contents in the pouch, preventing them from any external damage. 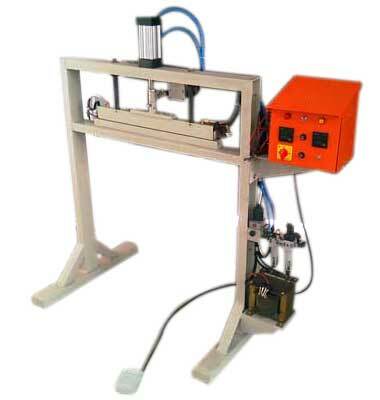 Our Pouch Sealing Machine is operated using the foot and uses continious / impulse heating. The machine is capable of sealing pouches having different widths and sizes. Our Pouch Sealing Machine requires 6 kg pressure air for the pneumatic cylinder.